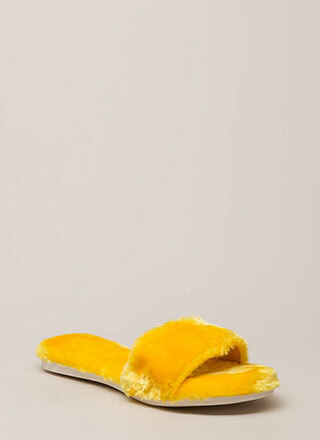 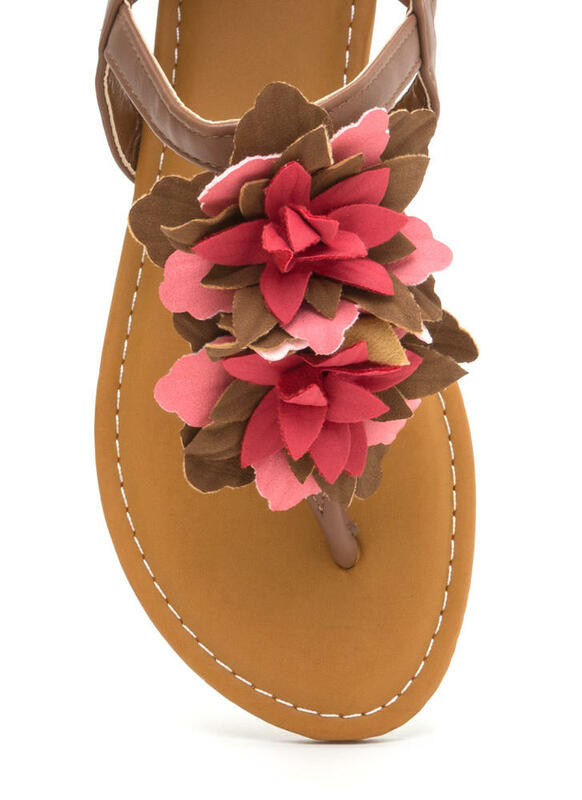 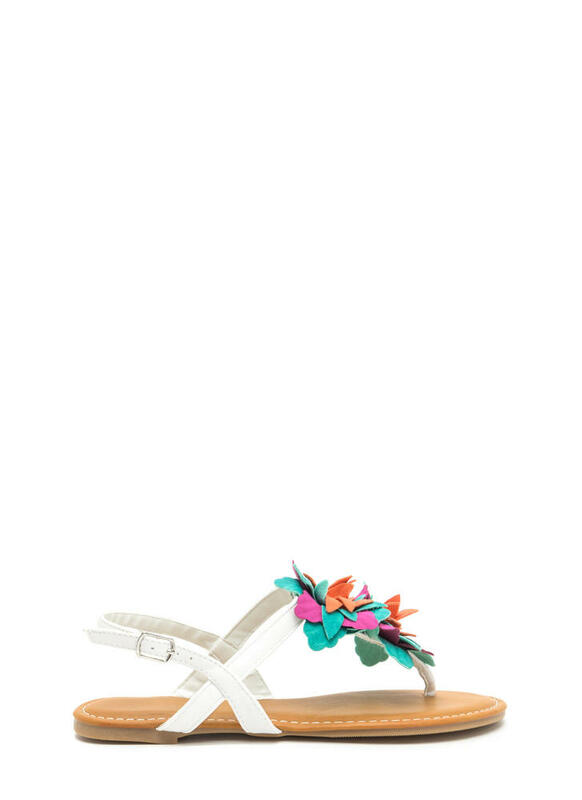 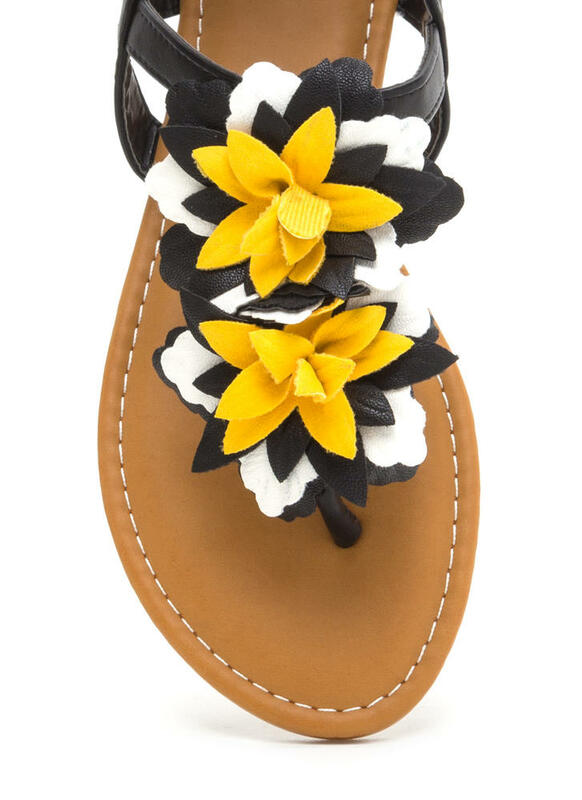 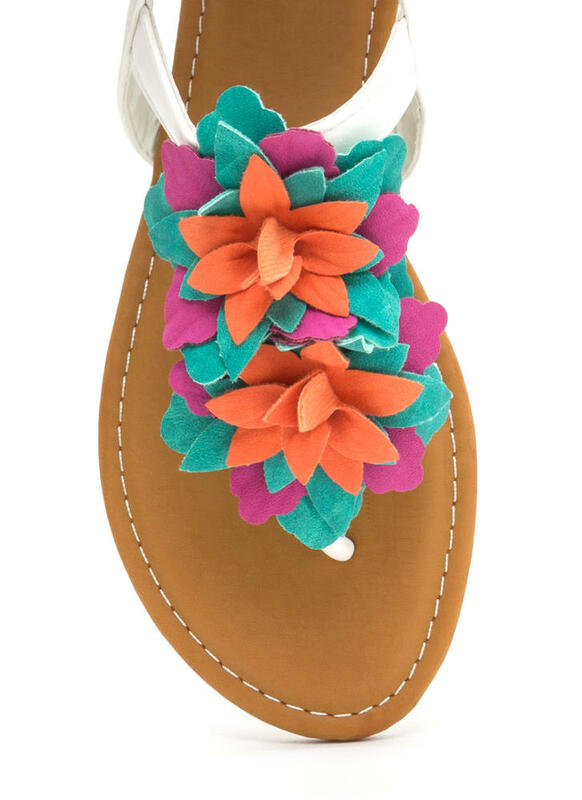 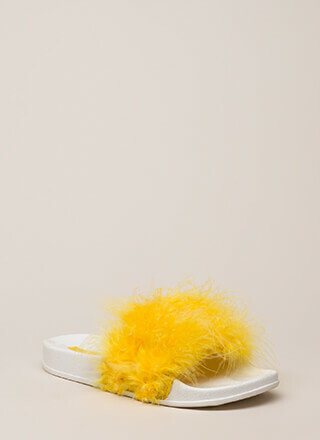 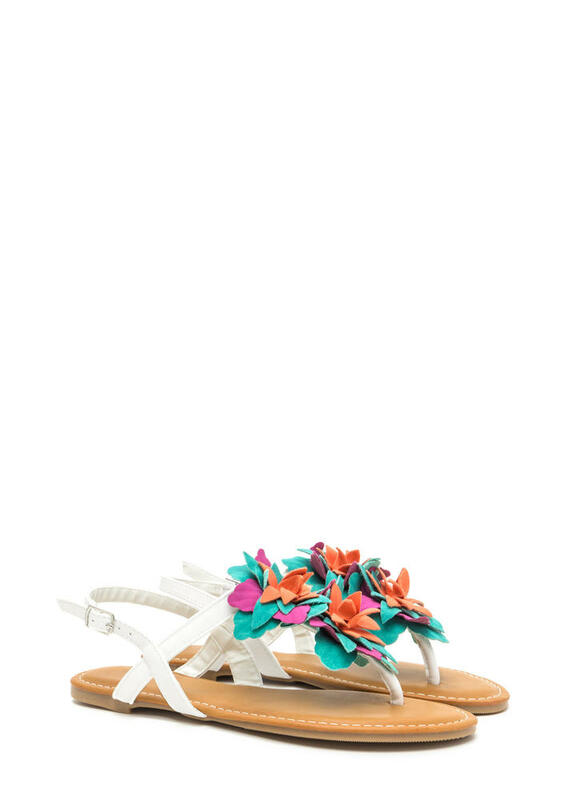 Use the dimensional flowers on these sandals to make a super stylish statement! 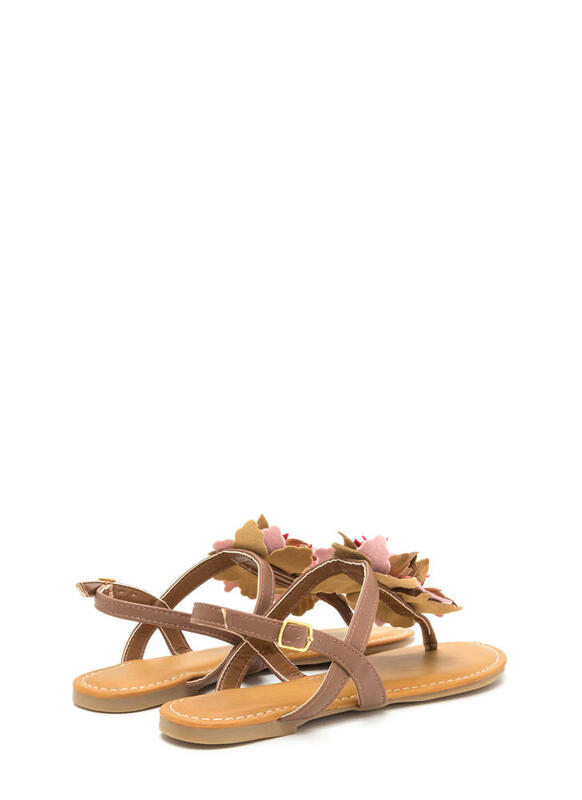 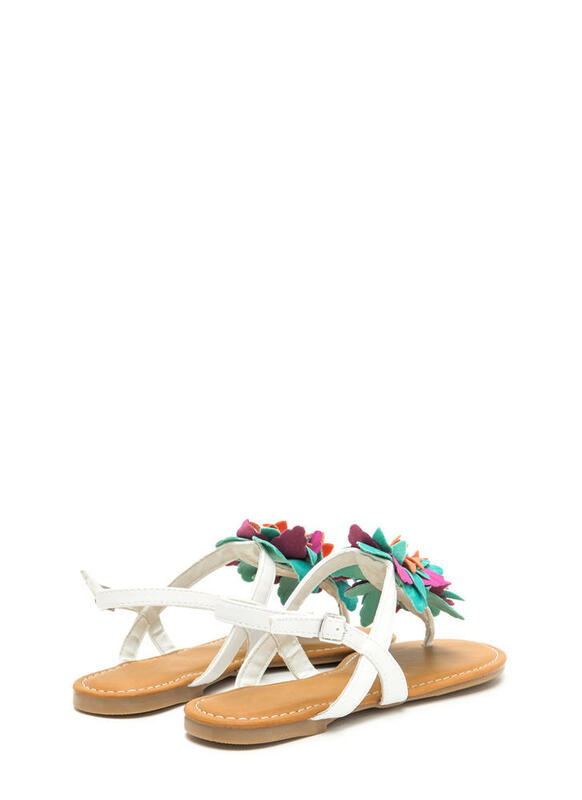 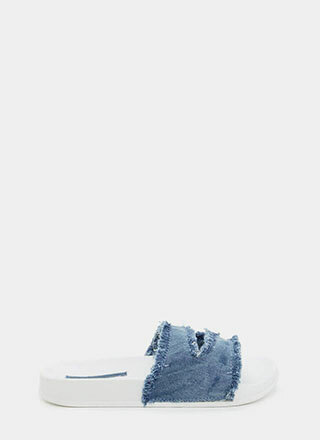 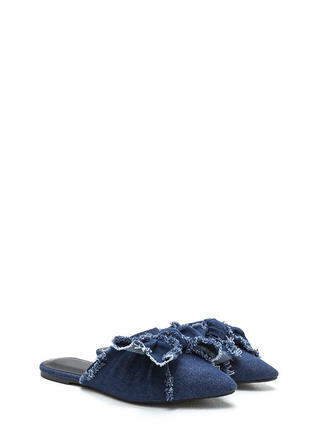 Vegan leather sandals have a T-strap upper embellished with dimensional and layered faux flower accents. 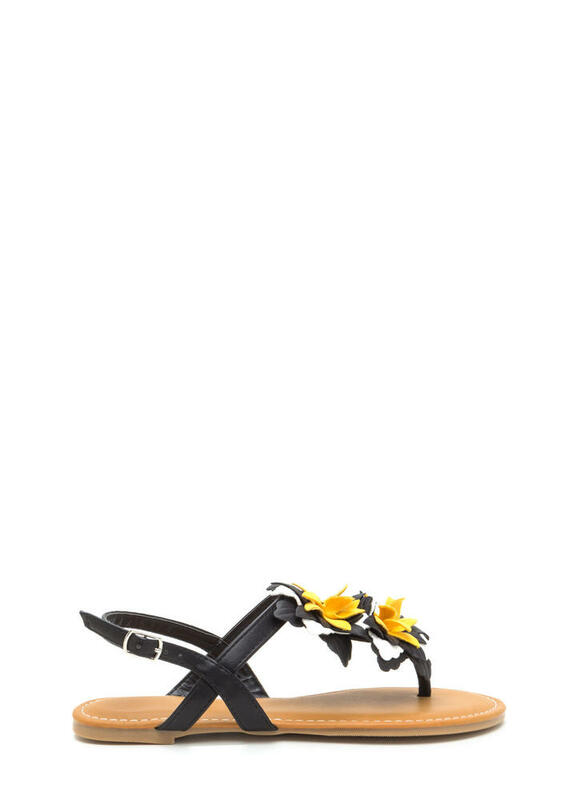 Finished with an adjustable ankle strap and a textured sole.